Alonso Krangle LLP - Fighting for the rights of serious personal injury victims, are now evaluating potential Fosamax Femur Fracture Lawsuit claims on behalf of Fosamax users who have suffered atypical femur fractures. Alonso Krangle LLP offers free lawsuit evaluations to any Fosamax user who suffered a femur fracture that could be associated with long-term use of this drug. Since then, hundreds of women throughout the country have filed Fosamax femur fracture lawsuits, many of which are pending in a multidistrict litigation in U.S. District Court, District of New Jersey before the Honorable Garrett E. Brown, Jr. (“MDL No. 2243). Additional Fosamax lawsuits, including those alleging the drug caused femur fractures, have been designated a mass tort (In re: Fosamax Litigation - No. 282 NJ. Super. Ct.) in the Superior Court of New Jersey, Law Division, Atlantic County. Alonso Krangle LLP is currently offering free Fosamax lawsuit evaluations to anyone who experienced a femur fracture while using this drug. 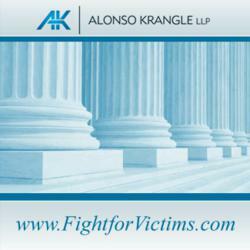 To discuss a potential lawsuit claim with one of the experienced and compassionate Fosamax side effects lawyers at Alonso Krangle LLP, please contact us at 1-800-403-6191 or visit our website, http://www.FightForVictims.com/. Alonso Krangle LLP offers free lawsuit evaluations to any Fosamax user who suffered a femur fracture that could be associated with long-term use of this drug. To discuss a potential claim with one of the experienced and compassionate Fosamax femur fracture lawyers at Alonso Krangle LLP, please contact us at 1-800-403-6191 or visit our website, http://www.FightForVictims.com.